Para Hills Knights are facing Adelaide Raiders in a match from the 4th round of South Australian Division. The hosts lost their first 3 games and will try to take their first points here. 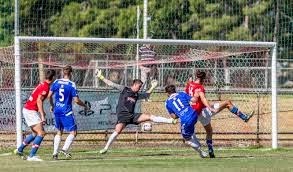 They received 5 goals in their first home match against Campbelltown City. Last season they had also a bad start with 9 losses in the first 11 round but then they improved their performance and finished in the middle of the table at the end of the season. Adelaide Raiders haven't also managed to get a victory so far but they have played just 2 matches. 4 of the last 5 meeting between these sides have ended with 3 or more goals. I think that both teams will be searching for the victory and this should bring to goals in both nets.